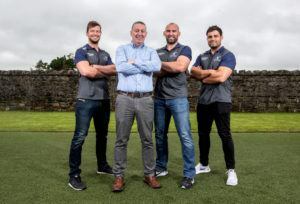 Elverys Intersport, one of Ireland’s leading sports retailers with 58 stores nationwide, is to be the new title sponsor and official retail partner of Connacht Rugby. The new three-year deal will re-establish Elverys’ relationship with Connacht Rugby dating back to 2005. Connacht of course had their most successful season ever in 2015/16 winning the GUINNESS PRO12 its first trophy in their proud 131 year history! That success was rewarded with a record seven Connacht players featuring on Ireland’s recent tour to South Africa. Elverys, established in 1847, is Ireland’s oldest sports store, and today has 58 stores countrywide. Currently the company employ almost 800 people in Ireland. In 1995, Elverys became part of the Intersport group, one of Europe’s largest sporting goods buying groups. The Elverys brand remains true to its original roots, stocking products for a wide diversity of sports. The new Connacht range for the upcoming season will feature the Elverys Intersport branding and will be launched in late July. ‘’We believe that this is a great opportunity given our roots in the West of Ireland to launch a partnership with a local organisation who also have a significant national and international presence. Connacht Rugby mirror our ambition to be the best and most successful brand in each of our respective sectors.